BEAUTIFUL BUNGALOW loaded with renovations!! 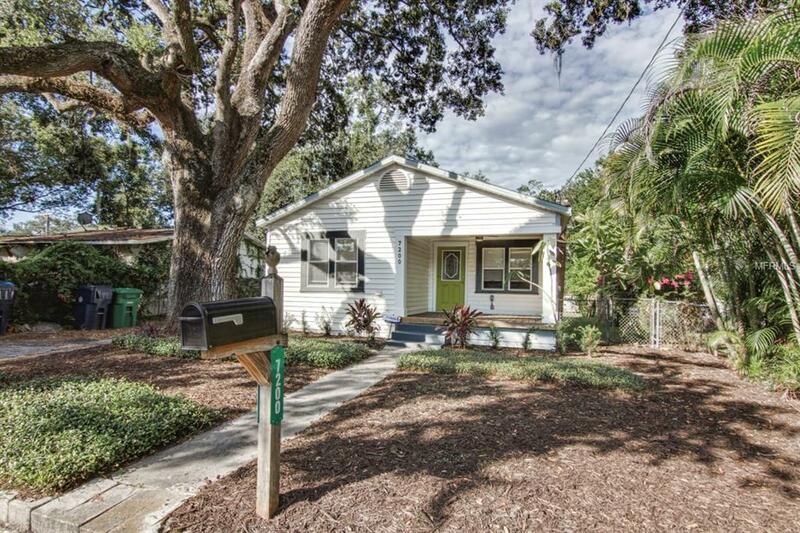 This home is located in the sought after neighborhood of NORTH SEMINOLE HEIGHTS! The layout includes 2 bedrooms, 2 bathrooms, an eat in kitchen and a spacious inside laundry room. 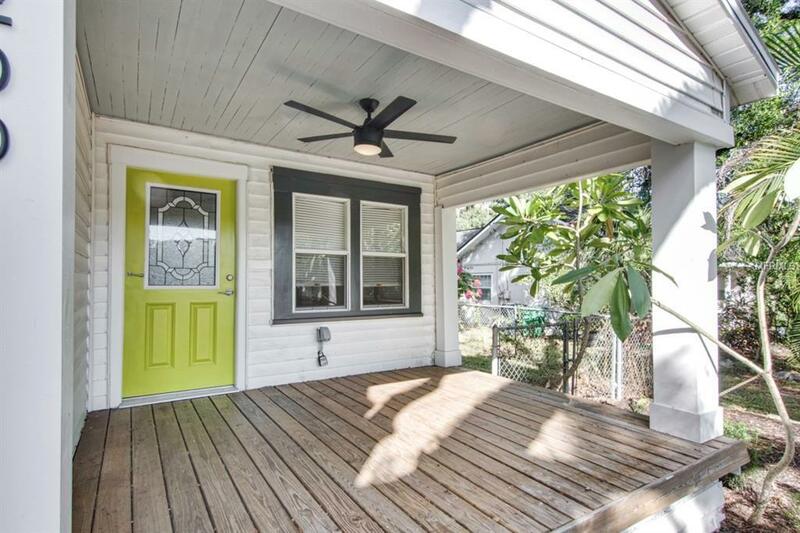 A charming front porch welcomes you with features that include wood plank flooring and a ceiling fan with lighting. 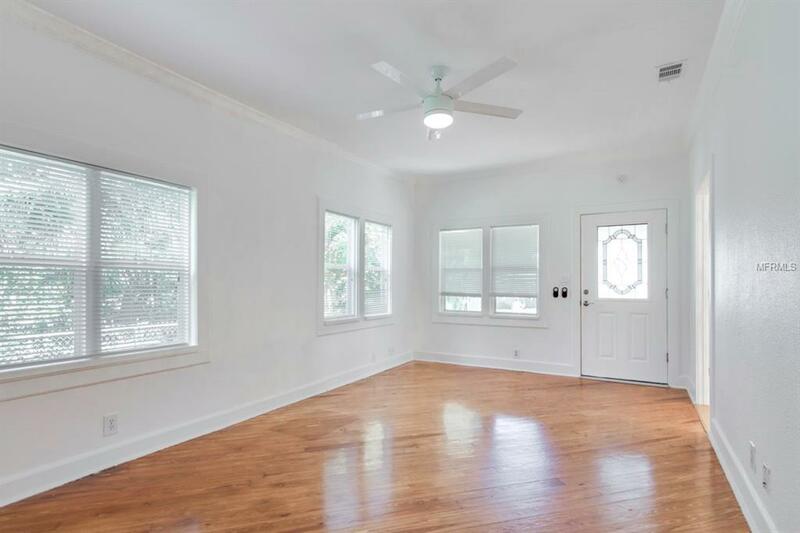 Throughout the home you will find amenities that include wood flooring, crown molding, high baseboards, custom fans & fixtures, along with neutral colors. The kitchen is spacious and features ceramic tile flooring, custom wood cabinetry, glass backsplash, stainless steel appliances and a dinette area overlooking the lovely backyard. The master suite boasts a massive ensuite bathroom! This master bathroom includes a very large walk-in shower, tile throughout, updated fixtures and shelving! An indoor laundry room includes closet/ storage space and both the washer & dryer as well. The second bathroom is also updated with a newer vanity, fixtures and shelving. 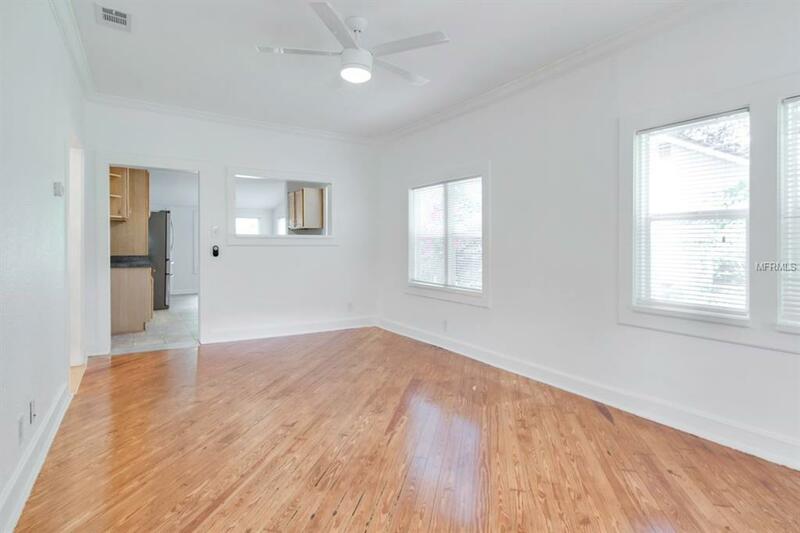 This wonderful home is completely move-in ready! The large backyard is fenced and features an open patio constructed of stone pavers- perfect for lounging and entertaining! Dont miss out on this terrific opportunity! Schedule your private tour today!